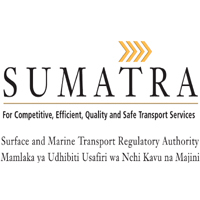 The Surface and Marine Transport Regulatory Authority (SUMATRA) was established by Act No.9 of 2001 Cap. 413 and came into force on 15th August, 2004 by Government Notice No.297 of 20th August, 2004. The tenure of the Director General of SUMATRA will expiry on May, 2018, the Chairperson of SUMATRA Nomination Committee established under section 8 of the Surface and Marine Transport Regulatory Authority Act, 2001 as amended invites Tanzanians with relevant qualifications to apply for appointment to fill the vacancy of the Director General of SUMATRA. The Director General will also be the Chief Executive Officer and shall be responsible for the day to day operations of the Authority. The Director General will be on contract for four years but may be eligible for re-appointment for one further consecutive term and shall not engage in any other paid employment. f) Performing any other duties as assigned by the Minister in accordance with SUMATRA Act, 2001.
f) Well suited to perform the functions and duties of the Director General competently and honestly. The Director General shall receive a competitive remunerations package as may be determined by the Board of the Authority from time to time. All applications; including detailed curriculum vitae with one passport size photograph, photocopies of Certificates, names and addresses of three work related referees with title marked "Director General-SUMATRA" on top of the envelop should reach the undersigned before 1500hrs, of 29th December, 2017.